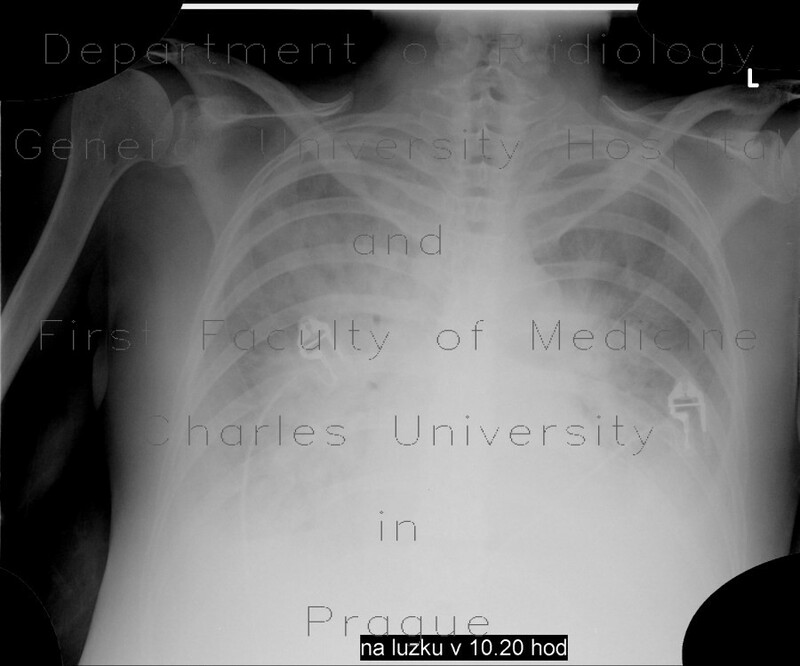 Chest radiograph shows shadowing of both lung wings. Periphery is somewhat spared. This is an example of alveolar pulmonary edema.